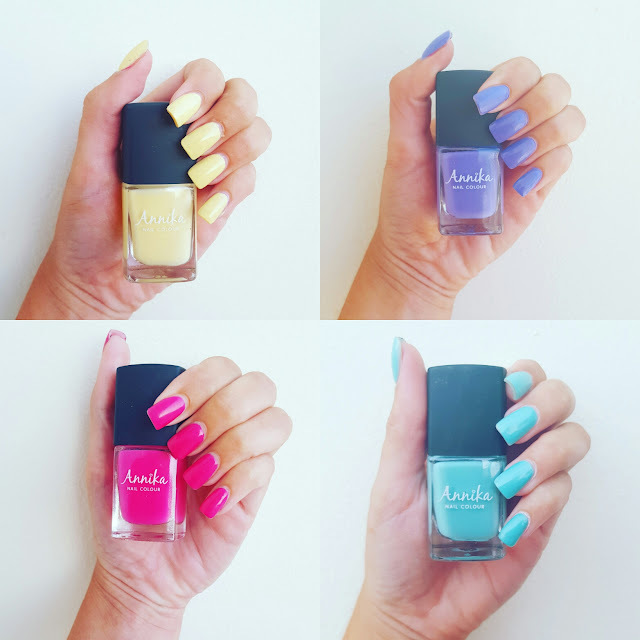 Bright summer nails isn't just a seasonal trend for me, it's an all year round go to. I love having bright, vibrant nails whatever the weather or time of year. 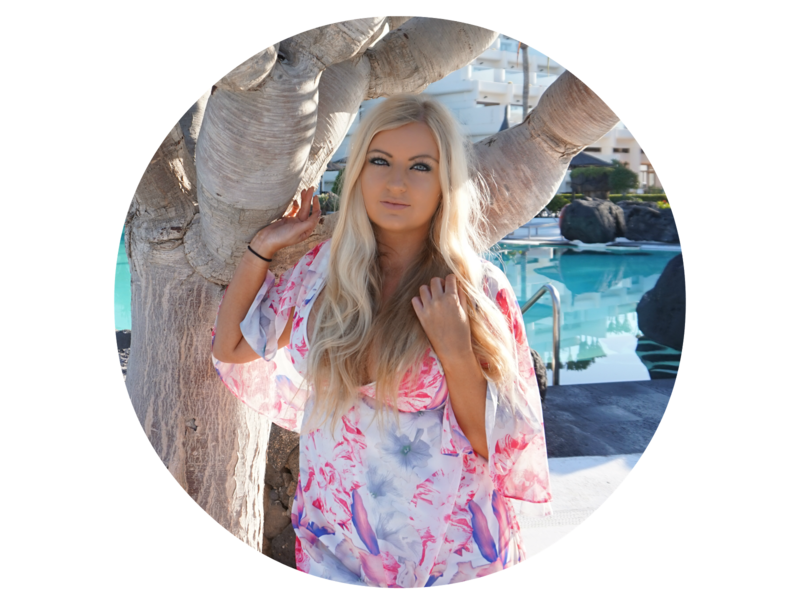 I've tried so many brands of nail varnish from high street to high end and always look for a product that doesn't need 10 coats just to reach the colour in the bottle, and also one that is quick drying and easy to apply. I've recently been introduced to the Annika range of nail varnish by Edge nails. They've released 30 gorgeous, vibrant shades which promise exceptional durability, a high shine and a smooth glossy finish. After trying out all four shades, I can hand on heart say, the nail varnish lives up to it's promises. It's easy to apply and only needs one coat to show full colour (although in those photos I went for two coats). The finish is high shine and glossy and the durability is excellent. I wore these shades on holiday and they battled extremely high temperatures and chlorine every day without fading at all. I have currently been wearing Mellow Yellow on my acrylic nails for over a month now and it has only just started to fade and hasn't needed topping up at all which I am extremely impressed with. 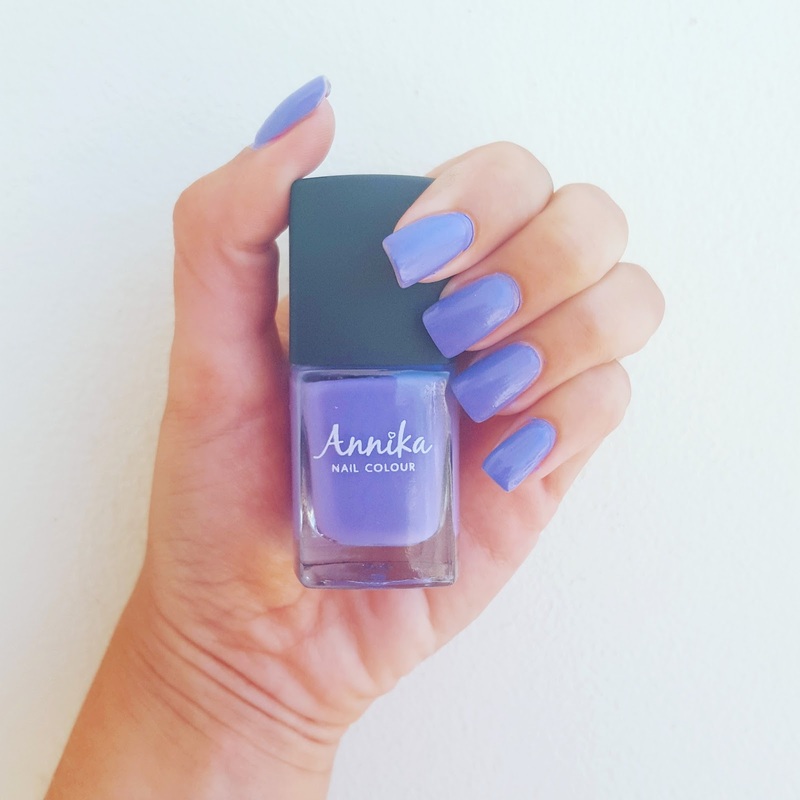 As Edge Nails predominately supplies products to the professional and trade nail buyers, it's clear that from their experience in the industry, they know exactly what type of product we want, and the Annika polishes have very much delivered. 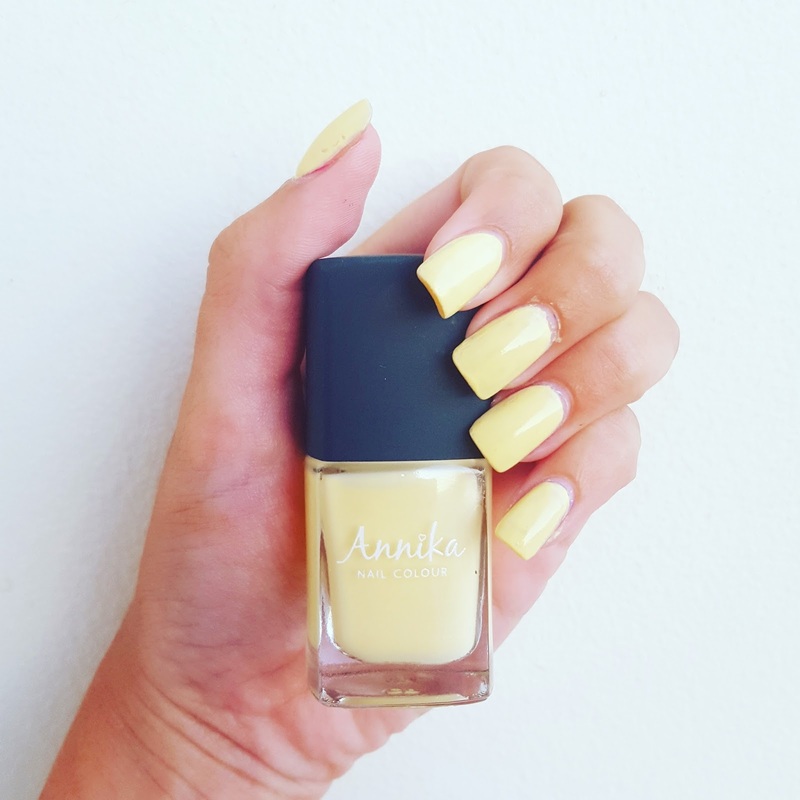 Check out the full Annika range, and also everything else Edge Nails has to offer. Drama Queen is such a pretty shade! Not tried these before, they do look pretty good!